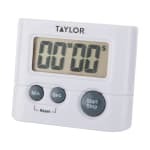 The Taylor 582721 timer makes a great general-purpose timer suitable for keeping track of virtually any kitchen task. It can track times as long as 99 min, 59 sec and can be set to count up or down. The timers 3⁄4-inch LCD display is easy to read, even at a distance. The timer can be mounted to a steel surface with its magnet, a vertical surface with its clip, or on a flat surface with its stand. The Taylor 582721 requires one AAA battery, which is included with your purchase. "I have had this timer since 2008 and I've only had to replace the battery once. It does its job very effectively. Not only do I use this for cook..."
"The simplicity of this product it utterly outstanding. This timer brings to the table not too much or little of it's capability. This product isn..."
"This product came quickly to our office once ordered. We use it for therapy timers at our clinic. The magnet on the back is great! We just han..."
"I have had this timer since 2008 and I've only had to replace the battery once. It does its job very effectively. Not only do I use this for cooking, I have also used it for naps, timed assignments in school, and other timed activities. 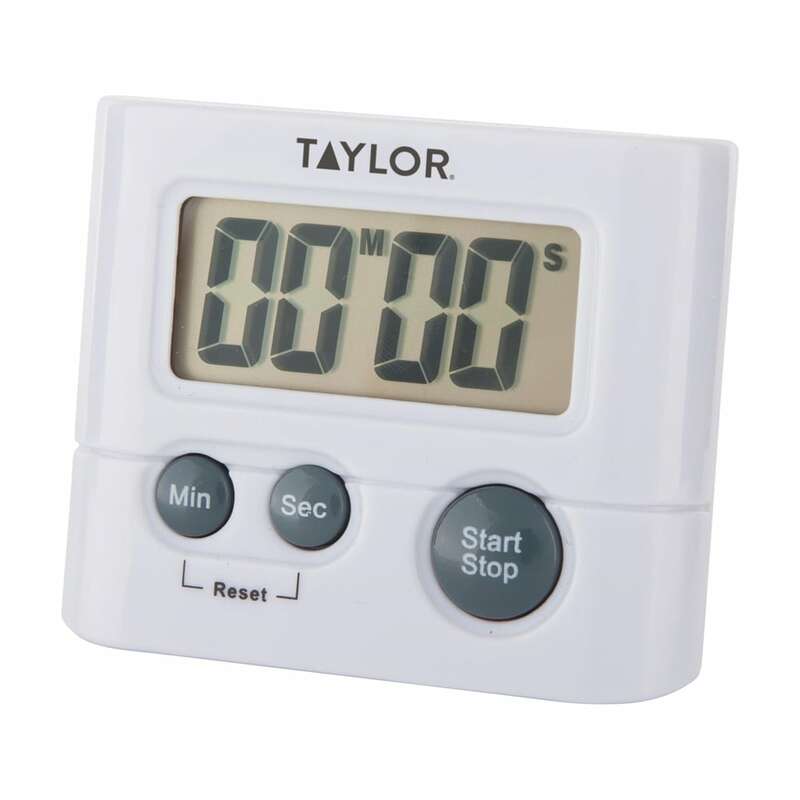 If you want a timer that will last you forever, then look no further. I would definitely buy this again, but I do not have to, because again I still have one from over 9 years ago." "The simplicity of this product it utterly outstanding. This timer brings to the table not too much or little of it's capability. This product isn't a massive purchase but for a product quite cheap, it's indeed worth it just to have around for cooking or any other uses. The accuracy isn't the most perfect however, this timer gets the job done and is mostly reliable!!" PERFECT! Just what we needed! "This product came quickly to our office once ordered. We use it for therapy timers at our clinic. The magnet on the back is great! We just hang them on the door frames. This timer has the nice feature to press start so you can see how long something is going OR you can set it to beep after a certain desired amount of time as well. We love these timers." "Since you can only hear it go off if you happen to have in next to your ear in a room with no other sound it's of no use whatsoever as a kitchen timer. I suspect people just throw them away because it would cost more to return them."